Construction companies are complex organizations that need business systems capable of weaving stable management and accounting functions through a shifting mesh of relatively short-term projects that each bring their own packages of external clients, professional service firms, project partners and subcontractors. Contractors also need sophisticated, mobilized, scheduling and project management tools supported by robust, auditable communications, as well as the ability to integrate an array of evolving data input sources for project controls and progress monitoring. It is a tall order and companies have been striving to bring it under control for decades. But with increasing interoperability between software and systems and the growing capabilities of Cloud-hosted and delivered services, the ideal of fully integrated operations finally may be in reach. 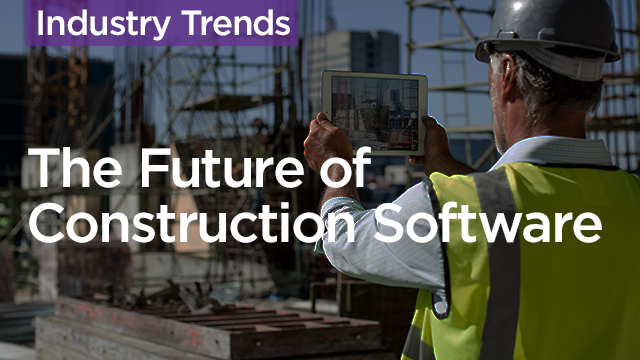 In this webinar ENR will sit down with technology leaders from three construction firms pushing hard for the goal to find out how far they have come and what they see ahead. Understand where technology integration and software stand in the industry. Determine the capabilities of project management tools that will support robust communications. Identify the use cases for integrating data input sources for project controls and progress monitoring. Define the growing capabilities of cloud-hosted and delivered services and how they increase the efficiency of integrated operations.